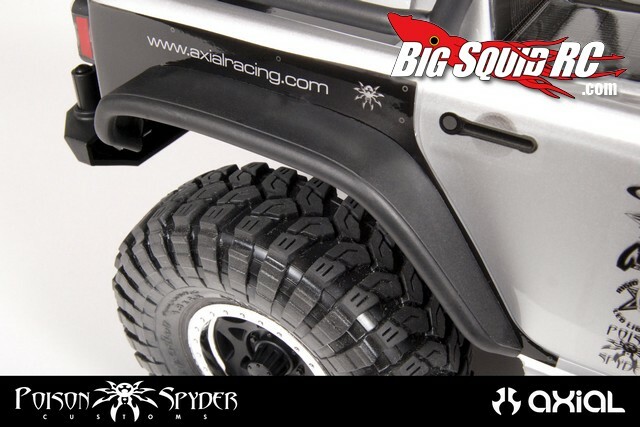 Axial SCX10 Poison Spyder Accessories « Big Squid RC – RC Car and Truck News, Reviews, Videos, and More! 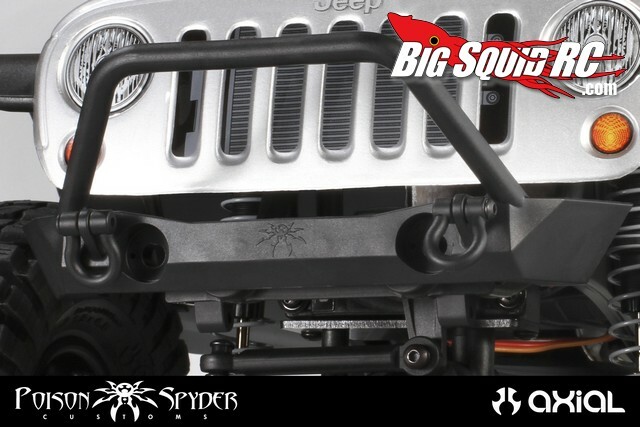 Poison Spyder makes some pretty uber full scale off-road hop-ups. 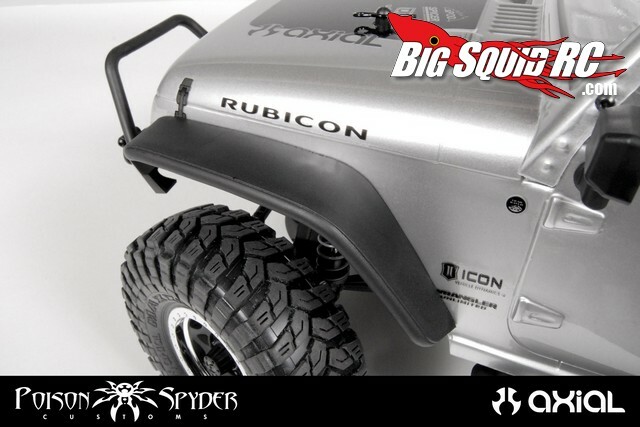 Axial has now released some official licensed Poison Spyder gear to put on your SCX10 series truck. 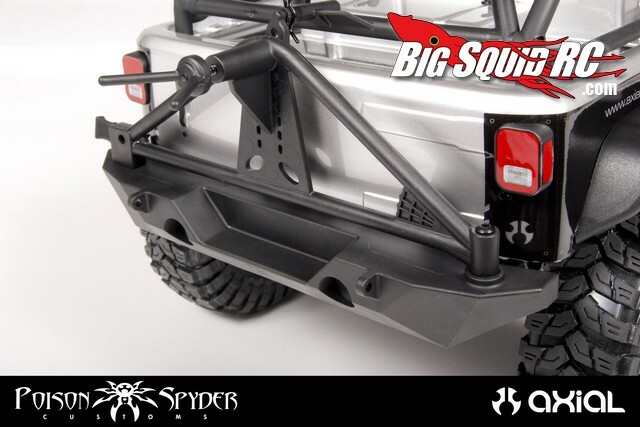 To take your scaler to another level Axial now has- Poison Spyder JK Crusher Front Flares, JK Crusher Rear Flares, JK Brawler Lite Front Bumper, and JK RockBrawler Rear Bumper/Tire Carrier. All the pieces come with the hardware you need, and were designed to be easy to install. Street price for front flares, rear flares, and front bumper is $16 each, while the rear bumper/tire carrier has a street price of $24. 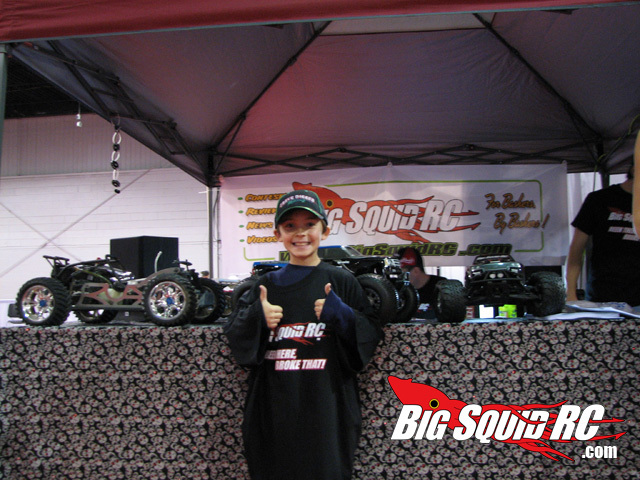 Hit up the official Axial Website for more information. Everyone has been working hard all week, TGIF, hit this LINK to have a lucky weekend.